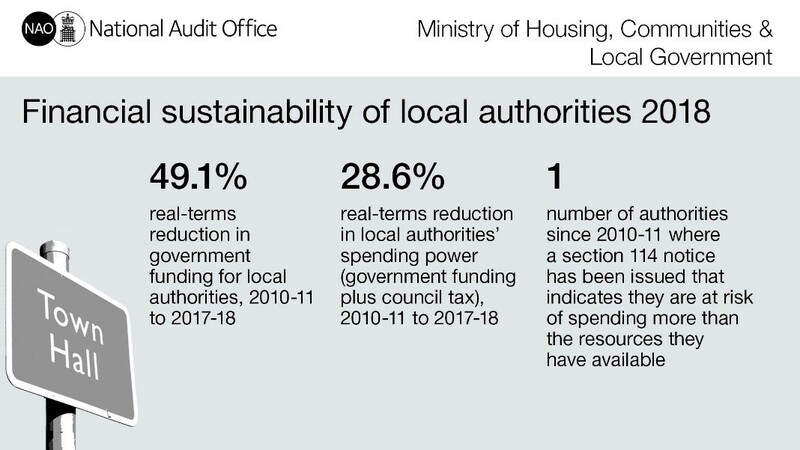 Last week saw the publication of a comprehensive report from the politically neutral National Audit Office (NAO) that laid bare the impact of almost a decade of austerity on local government. The statistics make for grim reading and the implications were brought to life by the news that three more Conservative run councils are in severe financial difficulties. Following on from Tory-run Northamptonshire council going effectively bust, it brings into sharp reality the issue of funding for local services for voters at the local elections on 3rd May. Since 2010, Lambeth has lost 56% of its funding from central government: that’s £250 million stripped away from services in our borough. To add to this, the government has spent eight years performing a repetitive, duplicitous card trick of handing responsibility to councils under the guise of giving them more power, but then taking away the funding that is attached to these services. Council Tax Support, which helps over 30,000 of our poorest Lambeth residents to have a discount on their council tax bill, was devolved to local authorities a few years ago, but with a significant cut. It now costs the council over £4.5 million extra a year to fund this protection, paid for out of the council’s shrinking budget. Similarly, the government devolved the funding for public health but with an in-year financial cut -; meaning the budgets for that year had to be ripped up and redone to fund the services at the last minute. According to the NAO, councils are now having to use their reserves, usually held back for emergencies, to fund these basic services. They expect that one in ten councils will have emptied their savings in the next three years. In Lambeth, we have used reserves to fund much-needed support for our children’s services -; but with one of the lowest levels of reserves of any council in London, it’s not an option for us in the future with more cuts still to come. For reasons that are best known to them, Lambeth Conservatives have decided to support these cuts, while pretending they can be delivered without any impact on local services. They have been aided in that by their coalition partners the Lib Dems, who supported these cuts in government. And they have now found more willing allies in Lambeth’s Green Party, who remarkably praised the Conservative’s recent pro-austerity budget, and are using the same Tory argument that local councils are to blame for austerity. In contrast Labour has sort to manage our borough’s money wisely. We have made efficiency savings, cutting the number of council buildings from 14 to 2 to save on running costs We have driven harder deals with our contractors, extracted more money from housing developers to spend on community projects and taken the difficult decision to raise council tax to generate income for services like adult and social care (though our council tax remains the ninth lowest in London). At the same time, we have managed our resources wisely so we can keep fully funding services to vulnerable and working families. We are continuing to support our violence against young women and girls services, and we were one of the first council’s to pay all our staff a London Living Wage. And we have fought hard for a better deal for Lambeth, to get cleaner bus engines to reduce pollution on our roads, and against government cuts to the police and schools, on the latter helping to stall planned reductions in funding. On the 3 May, voters will face a choice. A choice between parties who either openly or tacitly support the idea that Lambeth should bear the brunt of more austerity, or in Labour a party that will fight for a better, fairer future for our borough.